Browsing articles in "Real Estate"
In some UK forums recently I have taken part in discussions where the someone is fixated on a specific aspect of real estate investing and they are missing the bigger picture. The first revolves around the ability to buy a property at a discount (buying wholesale might be the USA phrase) and rather soon after resell or obtain financing at the full market value. Lenders in both the UK and the USA tend to avoid using the paper value if the last sale is less. They will use the lower of the value or sale price for up to 6 months in the UK or even 12 months in the USA. In the other conversation, we are entering the murky waters of the definition of money, franctional reserve banking and the idea that there is a comspiracy between some big banks. Even if we complete avoid the more wacky ideas, the idea that anything at the macro level impacts significantly the success of a real estate investor’s deal is odd. Deals are done one deal at a time and very much concerning a specific property. If you get a great deal on a house, it does not matter what is going on at the macro level. Yes, interest rate trends and other things have a bit of an impact. Still, your ability to negotiate has more impact that what the Fed or the Bank of England thinks about the source of money and interest rate trends. Oh, sorry for the late publication. Travel related. Likely to impact the next post also. I will be back in London in about 12 hours. 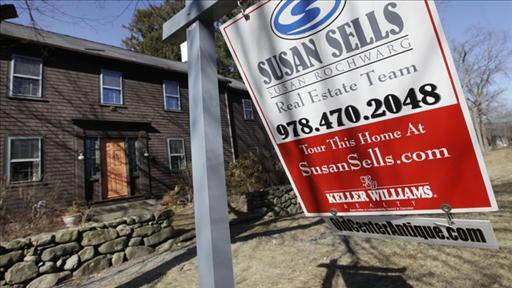 Comments Off on US house price trends. A national market bottom? Later in the article is an important point. At the same time a different article makes the point that housing markets where employment is good to strong show very different trends compared to markets where the employment trends are weak. Phoenix, at one time in the top three cities for foreclosures, is now showing rising prices. Thursday’s Evening Standard had an article in the Business section titled “Social Housing REIT Plan” by Russell Lynch. The main points included the UK Government’s launch of a consultation period and how there is a need for social housing investment. The assumption is charities organised as housing associations could offer better returns to investors if they set up as REITs. I am going to see what I can find out about the consultation. REITs in the UK are 5 years old, for the most part the residential sector has avoided using REITs as an investment vehicle. Even more startling to the US investors is the lack of Multi-Family Residential (MFR) investment opportunities. In the UK there are very few apartment blocks where the building or buildings are owned as one freehold (one title to the whole property with multiple residential units available for rent). The closets the UK has to a MFR investment opportunity is ‘student housing’ where a purpose built property is let for residential use to a specific class of users, students. For the UK reader, MFR in the USA means a property with 5 or more residential units, all self-contained with no shared facilities other than hallways, outside walkways, parking, etc. A MFR property is valued using the income model which is more or less saying the value of the building is based on the net income stream divided by the yield. Unlike UK residential conversations where the BTL investor uses gross yields, we are talking about net yield to determine price. A while back a housing leader in one of the political parties asked me to write a paper on how to create the MFR investment class in the UK. I had explained that yield compression and a lack of planning support is the key to the sector. Let’s see how the consultation turns out. Unless there are planning restrictions, the economics will drive the sector and no amount of pass though tax treatment will change that. REITs be a polished solution for pass through tax treatment. – Time it takes to rebuild a home has dropped from an average of 116 days to 60 days – a 48 percent improvement. – Amount of houses being rebuilt per month has jumped from 8.6 to 12.8. – Improved processes: the collaboration has consisted of sharing TPS know-how and working closely with St. Bernard Project’s professional staff, skilled construction supervisors and AmeriCorps members to improve homebuilding efficiencies. One challenge was to develop a better way to schedule the hundreds of volunteers and construction contractors who work on the houses. While there was no organized system before, today, as you enter St. Bernard Project’s headquarters, “management boards” track everything from volunteer/worker schedules to inventory to status reports on homes being rebuilt. In the Friday’s Bricks & Mortar section of the Times (of London) is an article indicating rents are down slightly in the Uk as a whole. The reason given is a temporary rush to beat the change in the stamp duty. In other words, the article thinks rents will level or rise in future months. Does anyone have a handle on the total size of the rental sector and the size 30 years ago? While a shift from social housing to the PRS might be interesting, I think the shift lives in a bigger context. The PRS did not exist in any real sense 20 years ago given the eviction laws and other restrictions on the fundamentals of the PRS business model. My second question is broader. Who has a good definition of social housing. Other than people are social, what defines social housing vs. housing that is not part of the category? Is it nothing more than the status of the owner (charity, government, private party)? Does social housing have to be housing rented at below market rents (subsidised in some fashion)? I created a survey today using Survey Monkey. Survey Monkey is not difficult to learn. At this time I have a free account so I created a simple survey with 7 main questions. A paid account comes with more options for how the survey works. Maybe something to consider at a later date. The survey’s purpose is to better understand what people want to see discussed during 2012 at the monthly real estate meetings I run in London (The London Real Estate Buying & Investing MeetUp Group). In November I announced that there will be 12 topics for the year and that I will bring in guest speakers for most of the topics. For January, I have lined up an investor who operates a number of HMO properties in west London. All the properties were set up over the last year to 18 months. In none of the cases does the investor own the building. He was able to create a strong positive cash flow business with limited initial capital. For the readers outside the UK, an HMO is a House in Multiple Occupation. Think boarding house with some shared facilities. Technically any property with more than 2 unrelated occupants is an HMO in the UK. Up to a certain point no HMO license is required. Independent of the license requirement, planning permission comes into play once the property reaches a specific size based on the number of rooms being rented. If you have about 5 minutes, fill out the survey. Even if you have no plans to attend a physical meeting in London, the feedback will help me understand what people want to learn concerning real estate investing (REI). I am expecting to produce a number of articles plus the book mentioned yesterday will also be shaped by the survey results. The new year started today. Happy New Year! I expect a few things to be different during 2012. Rather than spill the beans and tell you everything all at once I will be announcing things when they are ready for prime time. What I will say right now is I am working on a book. One one level, the book is a way to collect my thoughts on real estate investing. In addition, the content which will form the book will be the starting point for courses, for monthly discussions in London and other ways to to engage with others. Thinking about it, the book is closer to a roadmap for the year and a way to make it easy to share what I know so others can benefit. I have been using the holiday period to flush out much of the detail for the book. Progress was good up until a couple of days ago when I took off some time while visiting my sister and her family. Having just flown back earlier this evening I will be getting back to work tomorrow, Monday Jan 2nd. It will be a further week before I fly back to London. I expect to make a great deal more progress before getting on the plane. I am targeting the 15th of this month for the completion of the first draft. Maybe draft is the wrong term as it will be an outline with all the text minus any of the editing that will make it really flow. I am interested in sharing the main topics I expect to cover so you can let me know if there is anything else you want reviewed. The initial list of topics came from a monthly meeting I hold in London where other investors (newbies and experienced people). I created the partial list and they suggested changes and additions. I will share the list of topics tomorrow. I need to work on the formatting before posting it here.